Work by one of Exeter College’s most celebrated artists, Sir Edward Burne-Jones (1852, Theology), will be on display at Tate Britain until 24 February. The exhibition, which will be the first Burne-Jones exhibition at Tate since 1933, charts Burne-Jones’s rise from an outsider with little formal art training to one of the most influential British artists of the late 19th century. With over 150 objects, it will bring together major works from across his career for the first time in generations. Highlights include some of his best loved works, such as his huge paintings telling the dreamlike fairytale of Sleeping Beauty, wall-filling tapestries and his remarkable drawings. Many Exonians will not only be familiar with Burne-Jones, but will recall seeing examples of his work at Exeter College: the Kelmscott Chaucer, The Adoration of the Magi, Pomona and Faith are just some of the exquisite examples of his work owned by the College. The Tate retrospective gives an exceptional opportunity for those who admire Burne-Jones’s work to explore it more fully. 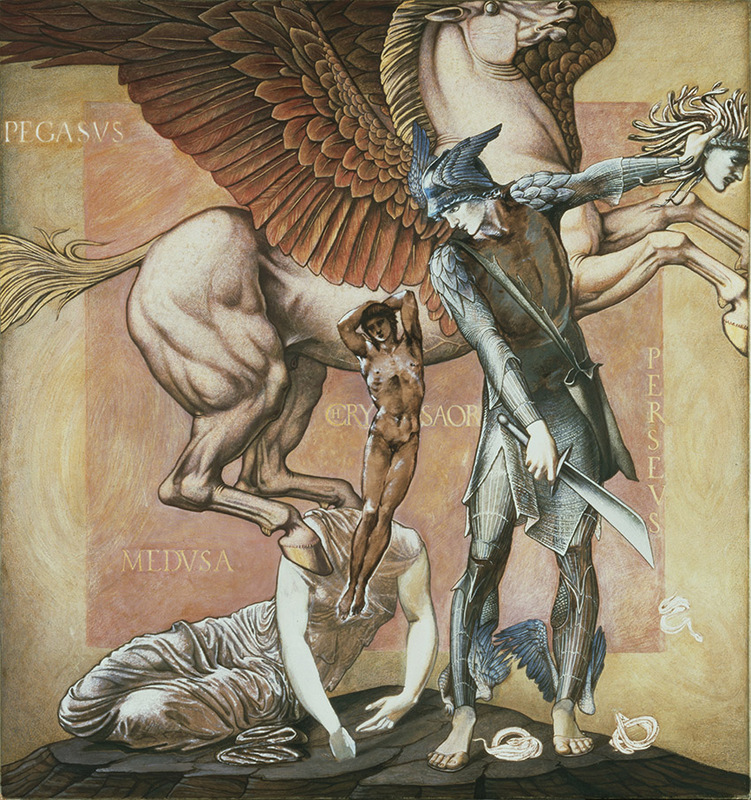 Admiration for Burne-Jones’s work is not universal. 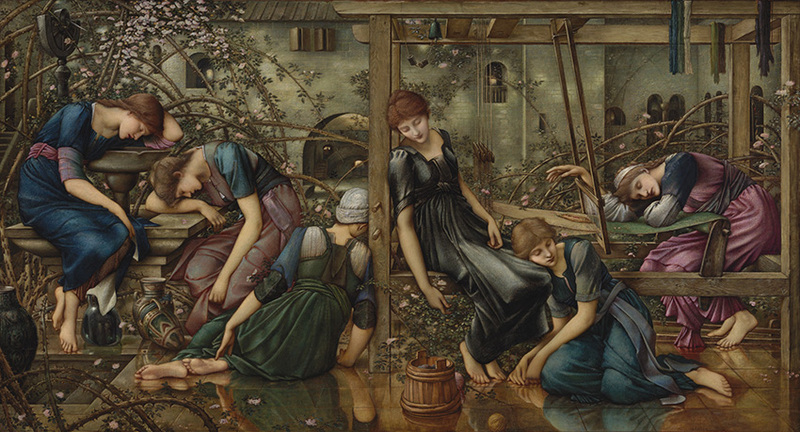 The Times described the Tate’s exhibition as ‘a good show about a bad artist’, while a reviewer for Time Out wrote in defence of Burne-Jones and the Pre-Raphaelite movement, ‘I like the Pre-Raphaelites the same way I like pumpkin spice lattes despite 95 percent of people telling me they’re repulsive. Because these medieval-loving Victorians are the pumpkin spice lattes of British art. They’re syrupy-sweet gloop tinted a strange orange colour and topped with unnecessary frothy swirls.’ The reviewer goes on to say that while she views some of the art on display as ‘undeniably naff’, others are ‘interesting’, ‘supremely pretty’, and ‘rival – perhaps trump – the skill of the more famous Pre-Raphaelites Rossetti and Millais’. Both The Times and Time Out awarded the exhibition four stars. If you would like to judge for yourself, you can view Burne-Jones at Tate Britain until 24 February 2019. To find out more and to book click here.